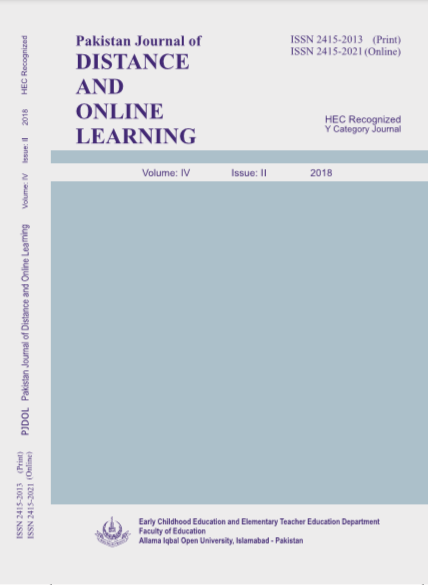 This article presents challenges and successes of Blended Learning experienced by students and faculty members of Directorate of Distance Education, International Islamic University Islamabad. The study has followed mixed method approach including sequential explanatory design. A survey was conducted to probe the experiences of (126) students enrolled in (FALL 2016) distance education programs, while interviews were conducted from (20) faculty members. Quantitative data were analyzed by using mean scores and percentages, while the interviews were analyzed by utilizing thematic approach. In the view of teachers, BL has enhanced their pedagogical practice. Similarly, e-assessments and feedback via LMS also improved students’ understanding of the content. Students’ satisfaction with BL technology, BL activities, provision of sufficient resources on LMS, use of WhatsApp for interactive communication, LMS training sessions and quality of support services provided to resolve technical issues were also regarded as predictor of success. Challenges of BL included technical problems hindering internet access, technological competency gap, teachers’ workload and weak audio/video connectivity during Skype sessions. 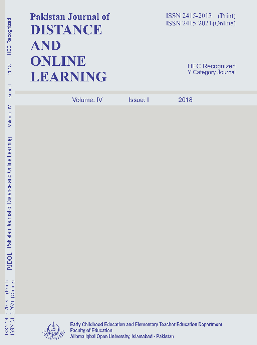 The study has recommended to; organize an advance level of LMS training session(s) for the faculty and students, improve the grading and feedback practice on the part of teachers and enhance audio/video connectivity of Skype sessions.